“You should be anxious and you should be frightened,” Wayne LaPierre told attendees of the Conservative Political Action Conference. OXON HILL, Md. — The head of the National Rifle Association on Thursday delivered a defiant and conspiracy-laden response following the Florida high school massacre, darkly warning conservatives at a conference near Washington that the Democratic Party is teeming with “saboteurs’’ and “socialists’’ who want to strip away Americans’ individual rights. 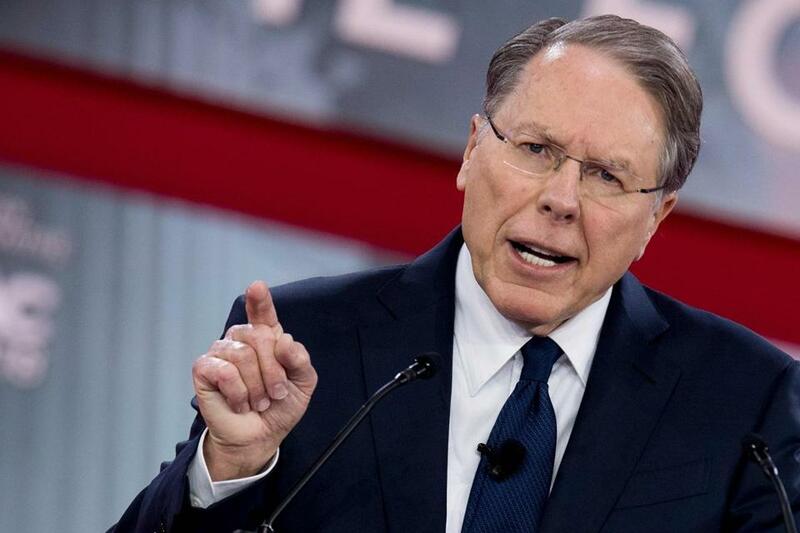 The speech by NRA chief Wayne LaPierre sent a strong signal to the Republican activist base that the powerful gun rights group has no intention of softening its stance on guns after last week’s Parkland, Fla., school shooting by a 19-year-old with an AR-15 semiautomatic rifle. The attack killed 17 people, mostly students. LaPierre told the crowd, just minutes before Vice President Mike Pence took the stage, that a European-style “socialist state” dreamed of using children as an excuse to strip Americans of their gun rights and other freedoms. 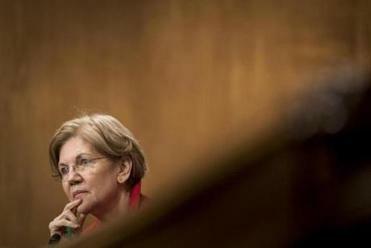 LaPierre listed Massachusetts Senator Elizabeth Warren among other high-profile Democrats and potential 2020 Democratic presidential candidates who he said are actually socialists who don’t respect American traditions and the Constitution. LaPierre delivered his remarks at CPAC, the Conservative Political Action Conference, held just outside Washington, an annual event that this year only occasionally celebrated the second year of total Republican control of Washington. The comments came amid an outpouring of activism, largely led by students, calling for stricter gun laws after the Parkland shootings. President Trump has called for a new regulation raising the age limit from 18 to 21 to buy long guns and seems open to tougher background checks, but he has also suggested that arming teachers and guards is the best solution. Pence followed LaPierre with an upbeat speech celebrating tax reform and other conservative policy coups. But LaPierre was representative of speakers who presented a darker interpretation of an entrenched establishment secretly resisting the president, along with the threat of budding socialists attacking freedom from the shadows. Those views displayed the extent to which grass-roots Republicans continue to feel under siege, culturally and politically, even though their party controls Washington. An NRA spokeswoman who introduced LaPierre, Dana Loesch, drew applause when she accused the media of sensationalizing the Parkland school killings. LaPierre’s speech coincided with demands from classmates of the slain Parkland students for tighter gun restrictions, part of a growing youth movement with a march planned next month. The White House, perhaps sensing the political winds shifting on the issue, invited family members of mass shooting victims to the White House Wednesday, where many of them begged Trump to take action. Panelists and experts at CPAC also took aim at the FBI and the nation’s intelligence agencies, which conservatives have attacked politically as special counsel Robert Mueller investigates Russian attempts to influence the 2016 election and any ties between Russians and the Trump campaign. Sebastian Gorka, a former White House adviser, said in a CPAC panel that the FBI had acted as the “political police” with its request for a FISA warrant to conduct surveillance on former Trump campaign aide Carter Page. House Republicans successfully pushed to release a classified memo earlier this month raising concerns that the Page warrant was based on information from a dossier that was partially funded by Trump’s political opponents. The White House has not allowed House Democrats to release their memo rebutting those claims. In a panel called “What you don’t know about the ‘dirty dossier,’ Trump and Russia,” Steven J. Allen, vice president of the Capital Research Center, rapidly clicked through slides purporting to debunk the Russia investigation. At one point, Allen said he believed there’s a “good chance” Hillary Clinton had actually lost the close Iowa caucus to Bernie Sanders because an election worker in charge of counting votes was a Clinton supporter. “This is not a crazy conspiracy theory,” Allen said. CPAC attendees applauded the focus on discrediting the Russia investigation. “There’s a deep state that’s resisting Trump and that’s a big problem we have in this country,” said Dan Albert, a CPAC attendee from South Carolina who’s written a book advocating the abolition of public education. “All I want is the survival of my nation,” Maréchal-Le Pen said. Young people in France are “brainwashed,” she added. “The result is the development of an Islamic culture in France,” she said. CPAC has struggled with how to handle the rise of the alt-right. Last year, the group banned speaker Milo Yiannopoulos after he made comments suggesting he supported pedophilia. (He claimed they were satirical.) The group also banned white supremacist Richard Spencer last year.